Today was my final day here in paradise and since it was a short trip, I spent it taking in the sights and sounds of the White Sox and Mariners big league game. It is always fun to hang out with the Mariners broadcast team. Rick Rizzs, Aaron Goldsmith, Shannon Drayer and Kevin Cremin are always gracious with their time and giving me an opportunity to be a part of a Major League broadcast. 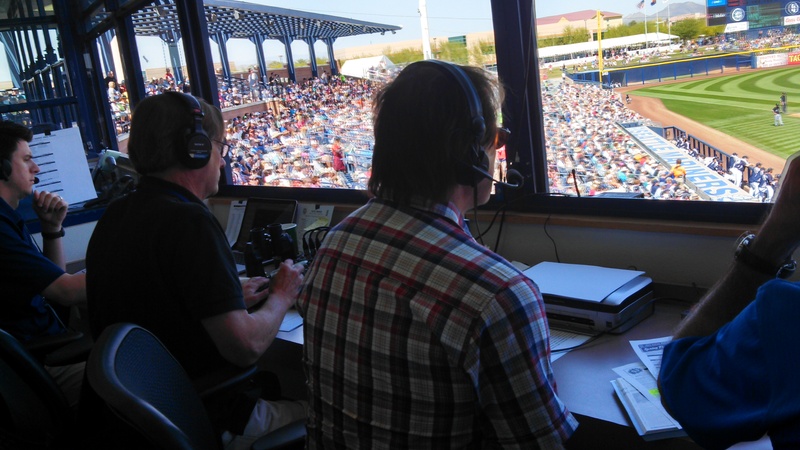 It was a special treat today as Tony La Russa dropped by the broadcast booth. Ironically, Rizzs and La Russa were together in the Southern League in the late 70’s when Rick was broadcasting for the Memphis Chicks and Tony was managing in Knoxville (then a White Sox affiliate). La Russa is making the rounds for MLB, checking on how the instant replay process is going. La Russa said things were going better than expected. Hearing Rizzs and La Russa exchange stories was a treat. It does appear that 2013 Generals’ All-Star starter Roenis Elias will be in the Mariners opening day rotation. Or, at least he seems to have a leg up on the competition. The Mariners rotation will likely feature Felix, James Paxton, Erasmo Ramirez, Randy Wolf and Elias. That will be until Iwakuma and Walker are ready to re-join rotation. I have been asked time and time again this trip about Elias and what to expect. Obviously, most have seen him by now, but he has big league stuff and it is not surprising to see what he has done. Brad Miller and Dustin Ackley continue to be locked in this spring, which is terrific for the Mariners. Stefen Romero got a start today after his walk-off homer yesterday and is in line possibly for the last roster spot. With so many lefties, his right-handed power bat could be just what the doctor ordered. Today was the first day I had been through the new Mariners facility here in Peoria. I was absolutely blown away. They truly have gone from a glorified high school facility to a plush MLB facility. The training area is massive and can occupy over 100 players at a time. 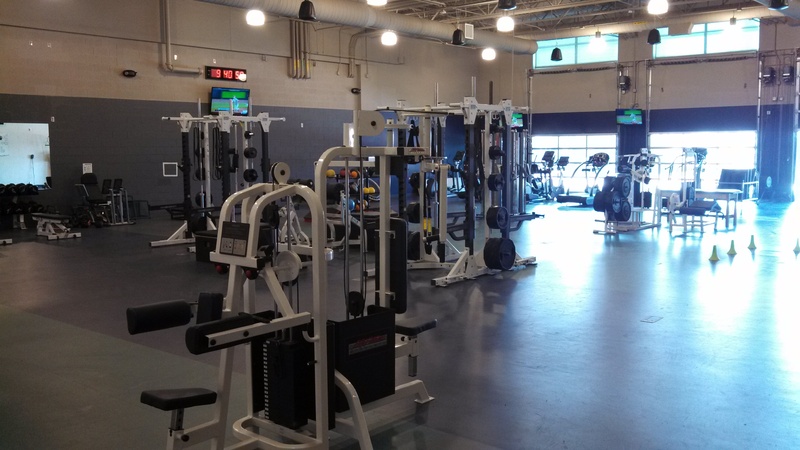 Brad Miller told me that a lot of times minor league guys would have to get in at 4 a.m. to get a workout in whereas now, that is not the case. The minor league side used to be a packed cluster of metal lockers in which some shared spaces. Now, the minor league guys have wooden lockers and a lot more space. Also, the MLB and MiLB sides have their own chefs and each side gets the same type meals each day. (No more cold cuts every day for minor league guys). Each side has brand new video rooms with massive TV screens. There are large offices, conference rooms and even a larger media work room. I caught up with Stephen Pryor, who was putting the new perfomance portion of the training facility to good use. The Tennessee native is in terrific shape and he said he has lost about 30 pounds. We will just have to wait and see how many of these rehab guys might come to Jackson (if any). It all depends on the weather and schedule. But, Walker and Pryor have a good history in Jackson and would feel comfortable getting work in there. 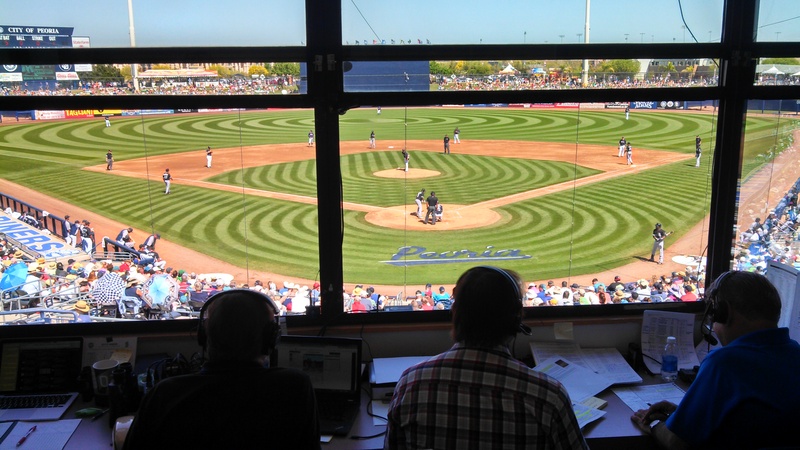 It has become a bit of a tradition to write scripts and get Mariner players to record liners for the radio broadcast. Most are gracious enough to do it which is greatly appreciated. This year I added broadcasters Rick Rizzs and Aaron Goldsmith to the mix and hopefully you will enjoy their voices on the broadcast opener and closer throughout the season. 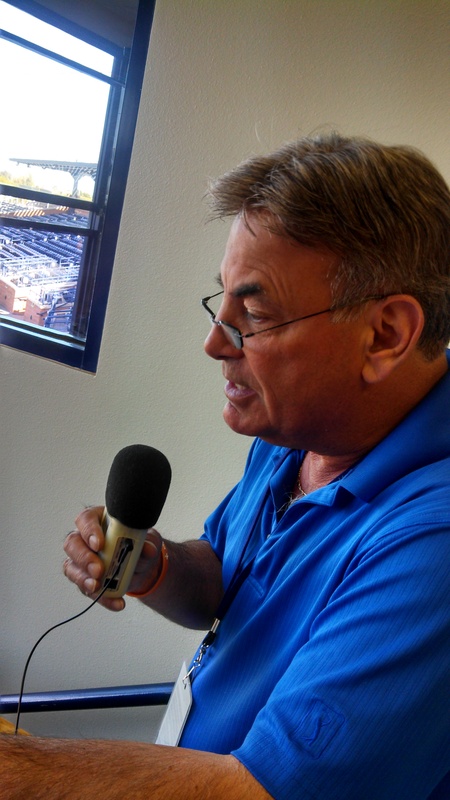 Tacoma broadcaster Mike Curto made it camp today and amazingly we never crossed paths, but here is his blog post from the back fields today.